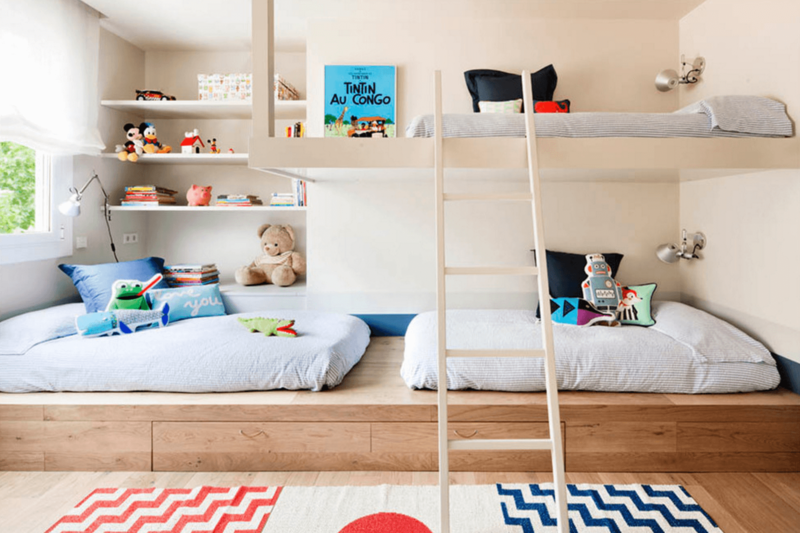 Are you searching for Children bedroom design ideas? 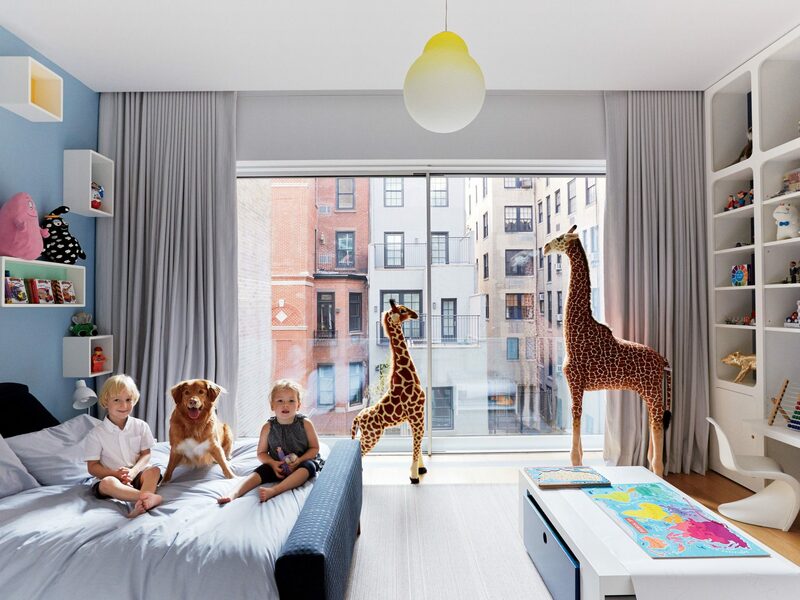 If so, let’s start with the interior design for children’s bedrooms. The interior parts and furniture placement is most important to decorate. Before starting, ask your child about color, pattern, design, and installation. If it is not placed according to his/her choice, he/she become upset in his room. Here, we analyze some designs, and maximum children liked them. Get the ideas and tricks. The best creators have also devised children’s pieces; some turned into icons of design. Such as the chair Panton -version junior, Verner Panton, the elephant stool and hanger Hang it all, both Charles & Ray Eames. The Provencal-inspired antique furniture achieves the romantic look and design classics. Such as the Bertoia chairs or the Tam Tam stool, the note of modernity. The wallpapers put vitality, like this model of Coordonné Kids. On the bed, dressed in clothes by KA International, stand out the fun cabinets with circular red glass doors: the Punto model. Always seeks to create a comfortable and cozy environment for babies, better with clear and soothing tones. White is a perfect choice, like this Takata set, with touches of wood. 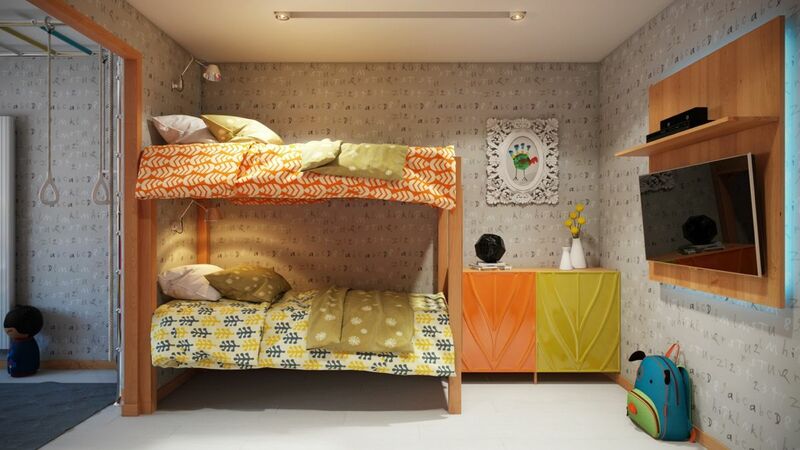 High beds with wardrobe under, canapés with wheels, drawers on the steps … The versatility of the furniture allows adapting to space and the rhythm of children. 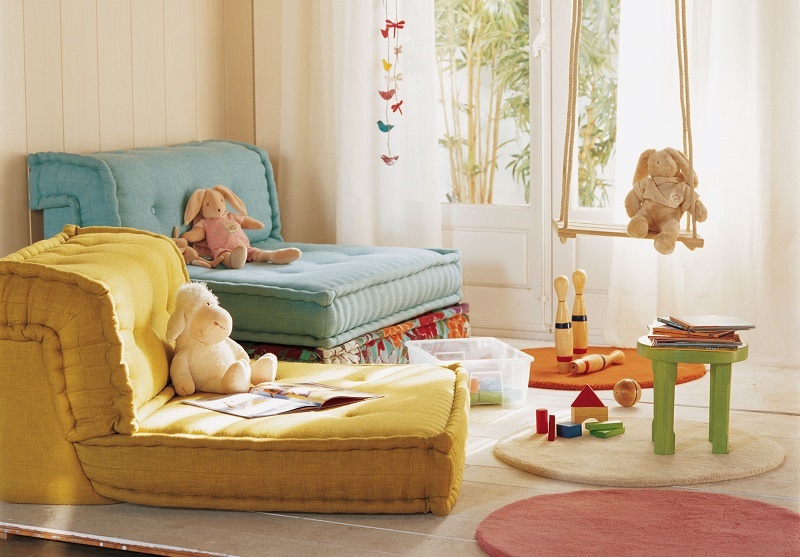 Stokke furniture grows with your son. For example, the Sleep bassinette becomes a crib and, finally, a junior bed. And the Care Changer will continue to be used as a desk when the child is older. Aesthetics is important, but even more so is the quality of the furniture you choose. The bed has to be comfortable to guarantee quiet nights. The Vi-Spring models – in the image, Baronet – are made entirely by hand, with 100% natural materials. The Bubble Chairs are the great Smiley a Mondrian at the headboard put the fun touch in this teen room, in which the electric blue carpet is softened by the white of the furniture and textiles. Put the special touch with decorations and accessories. Mr. Large Robot, Elle Elephant and Posey Panda will be your children’s new friends. Ferm Living cushions. 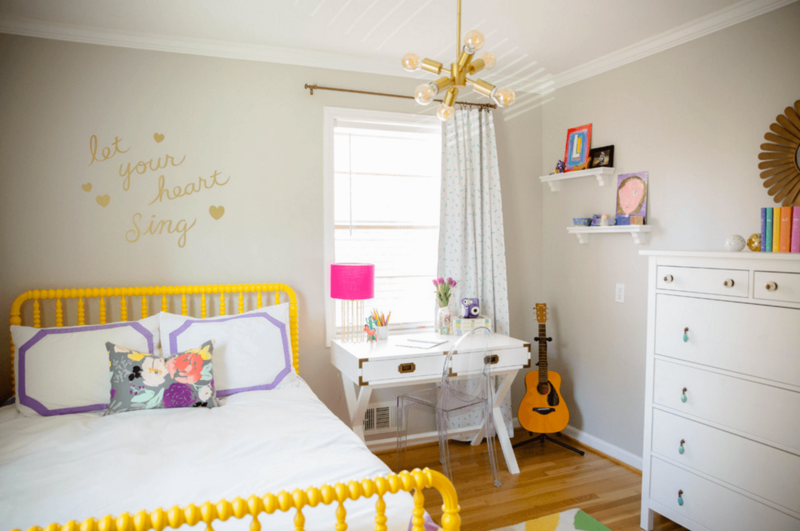 In this girls’ room, put the emphasis on the fabrics to recreate a warm atmosphere. The floor – with KP carpet – and the wall, wallpaper, make up a set of neutral beige base, highlighting the strawberry headboards and bedspreads. Bet on versatile furniture that does not pose obstacles or leave you without space to play. The folding pieces and nest type are ideal. 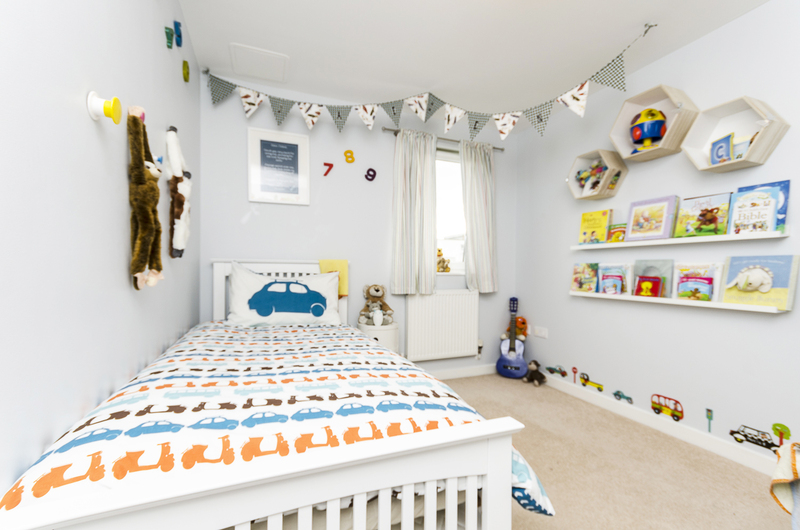 A wainscot, a half-height skirt or washable or vinyl wallpaper are perfect options for children’s rooms. Thus the walls will be protected from blows and the artistic gifts of your children. Playing is vital in the development of children. It is advisable to avoid an excessive accumulation of junk that will only mess up the room. Better a few well-chosen, visible and well-ordered toys. Avoid unnecessary conflicts and teach them to take care of their things with containers within reach and well labeled. The elements with wheels and boxes are especially practical, as they allow you to enjoy your content anywhere and pick yourself up in a corner when you finish playing. Carpets can be dangerous if they wrinkle or slip. To avoid this without sacrificing the comfort of the child or the protection of the floor, you can choose to place a vinyl floor or a large carpet that is part of your games and occupies a large space. Make your room a safe space in which to feel safe from risks and possible domestic accidents. Place locking systems in the windows and safety caps in the plugs. 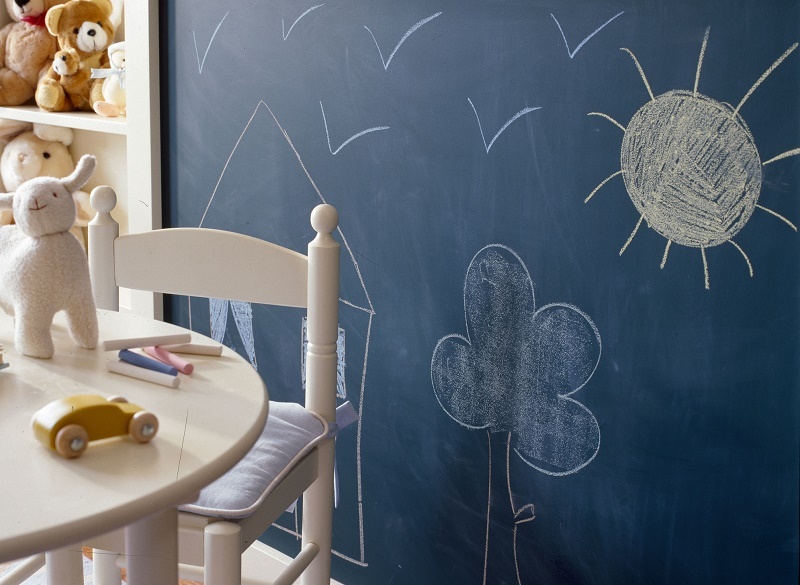 Offer them the opportunity to unleash their creativity also on the walls by installing a blackboard or painting one of the walls with special paint. Bet on a neutral frame that you can transform whenever you want with the help of textiles and accessories. Thus, it will be much easier to adapt your room as your interests change. If everything they need is within their reach it will be easier for the child to move forward safely in the development of their personal autonomy. Let them help you decorate your room. After all, it is your space and you have the right to decide what to put in it. This exercise will help you get involved in the care and maintenance of your space inside the house. Design the room to grow with the child. The transformable furniture is an excellent option to optimize the space in your room. In this way, the crib can also be your first bed and changing table, a comfortable practice to pick up your clothes on your own. Few rooms in the house are decorated with more illusion than that of children and, perhaps for that reason, it is easy to lose sight of what you must accomplish to adapt to all your needs. They grow so fast …! How many times have we heard this phrase and, still, we still do not apply it to the decoration of your room? 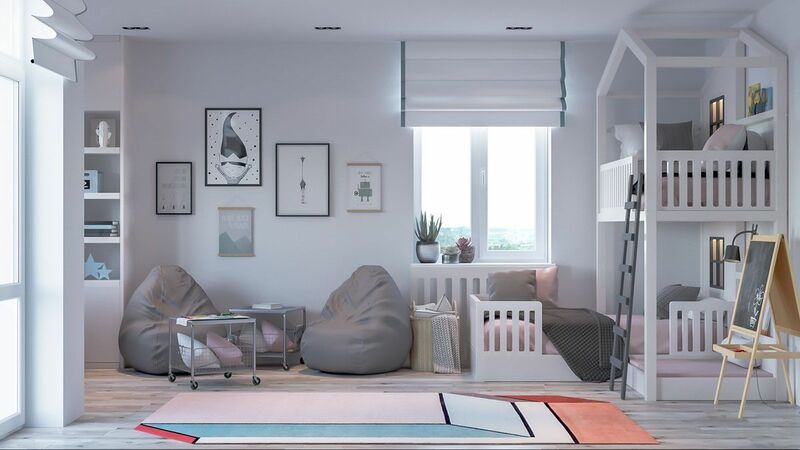 Design the room so that you can grow with the child with the right pieces leaving the most free space for them to play. Maintaining order in the nursery seems like a difficult task, but whatever type you choose, the secret is that all objects are within your reach, offer you enough space and empower your autonomy.